Our group topic is "Gosship and Media". The "gossips in media" sounds like informal talk or stories about famous people...such as movie stars or singers. However, there are gossips which we do in everyday life; something about the ordinary people like our friends or classmates. If you "gossip" someone on the web, it might have many problems...because saying something on the web means sharing information with whole people in the world. I want to talk about 2 channel bulletin which is like America's 4 channel. The other day, I was looking through the news in 2 channel, and found a post which showed the danger of internet gossips. This news is basically about a collage girl who is in a relationship with a married guy. She "tweeted" what she did with him, how she felt about him, or pictures of them on twitter. Her story was somehow known by people in 2channel. Pictures of her and him, their real full names, her collage and his company, his wife's name and her family's names, her mixi account, their home addresses....were all shared on the bulletin board. I was scared when I saw a picture of that guy's home. Someone took photo of his home, and some people did mischief like ding-dong dash. I think the three people's privacy is totally invaded, because everyone in the world can know their information. This is one of the common example of no-privacy web talk. As we know, this kind of things happen everyday...This is not a rare case. so...what we shoud be careful is...not to have private talk through the web? then we should delete facebook account?? thank you for the comment. yeah I think it's really problematic because someone like me...I mean everyone in the world can know their home add or phone #. it could cause the second issue. You've brought a scary side of social networking to life. We've not discussed issues of security and privacy in this class. This post makes we think we should spend some time on the issue. 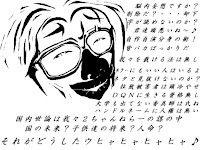 I'm a bit curious about the connection between the ascii art you posted and the content in the blog. Do you think it fits? Basically this board shows how 2channel people feel about his and her relationship (even though people in the board don't know the two people, the key is that the girl is dating with middle-aged married guy). and not only the people's feelings but also him and her private information is all shown. Thank you for the comment. 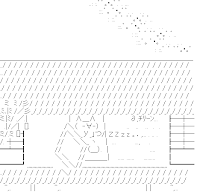 The ascii art got popular from 2 channel, and now it became an icon of the 2channel. 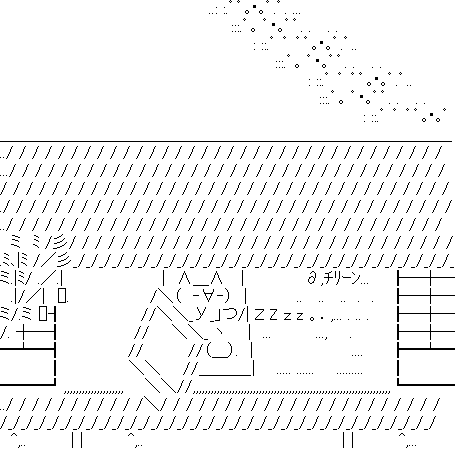 This example of scary side of SNS was from the 2channel, so I put ascii art in this post.